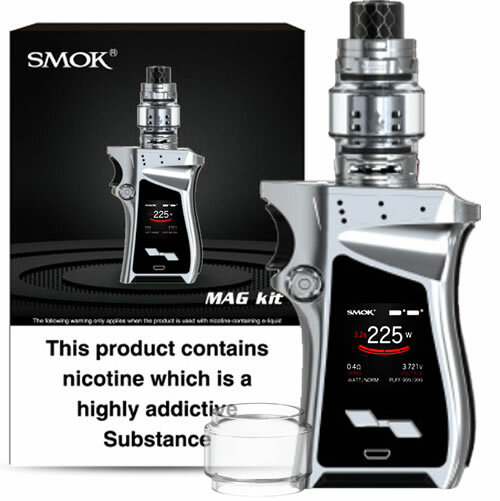 SMOK MAG - SILVER BLACK FULL kit buy from NUCIG UK. 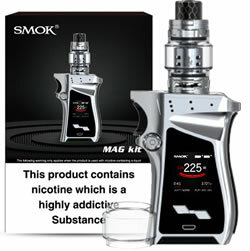 The MAG Kit by Smok (latest right hand version) is a vape kit which features a gun style curved ergonomic design to fit the shape of the hand better, a 225W maximum output power with detailed vaping data displayed on the OLED HD display, coming with the Smok TFV12 PRINCE Beast Tank that can hold 2ml of e-liquid, adjustable airflow and a top filling system with a swivel lock. The daddy of all kits. Well designed, engineered and works just perfect. Everything to like here. Super easy to order and received within a day. 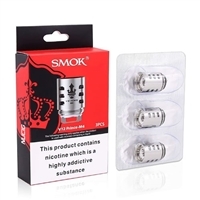 Feels absolutely awesome in the hand and belts out vapour ! Like the idea of external batterys, carry spares so always with power !